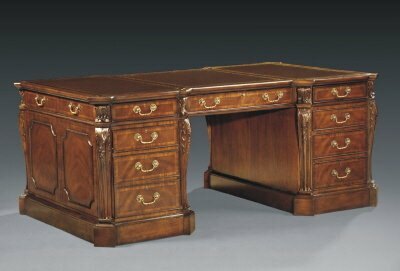 Tiger Oak buffet deux-corps. 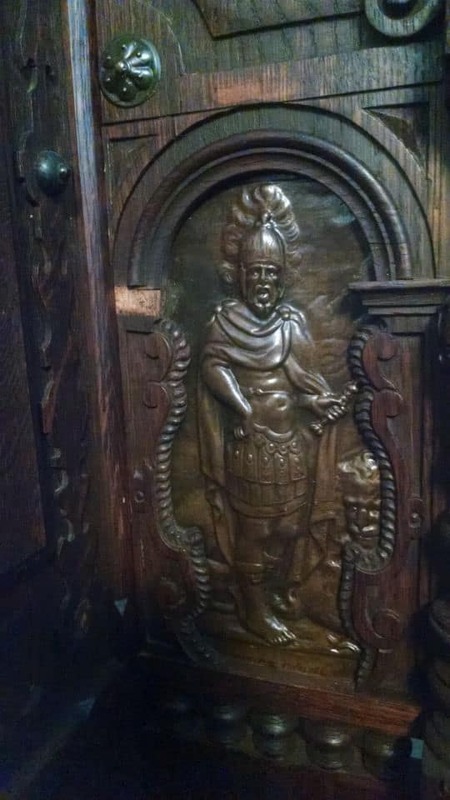 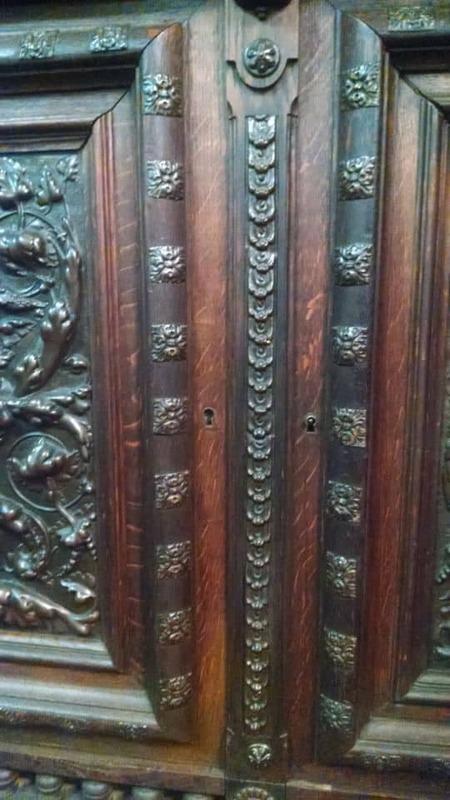 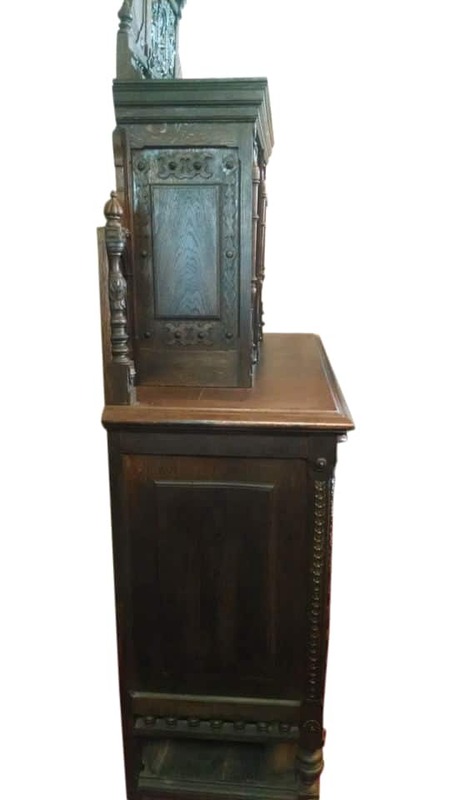 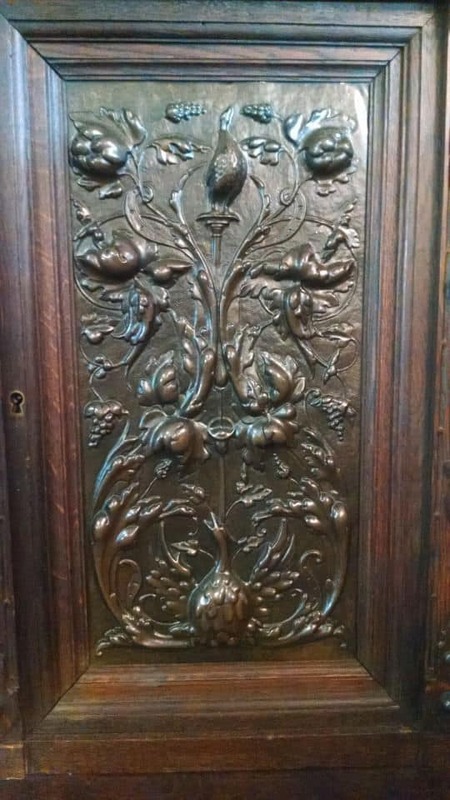 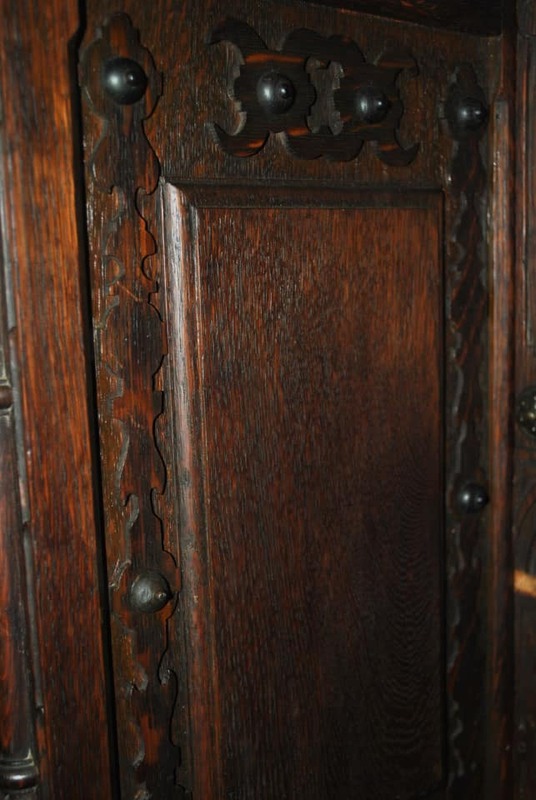 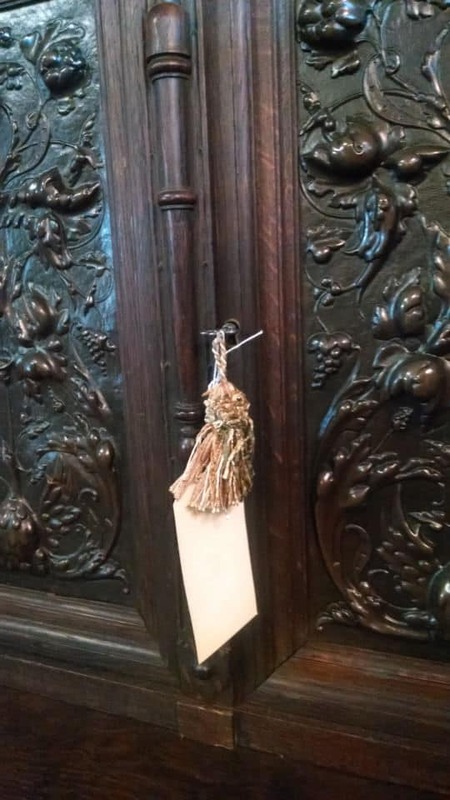 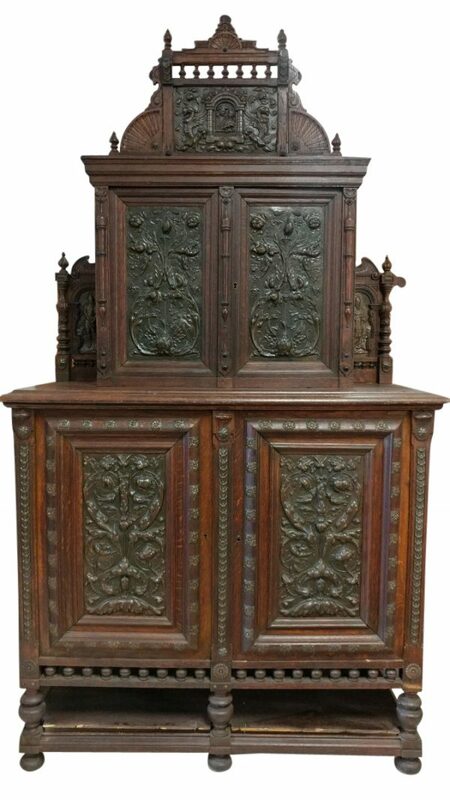 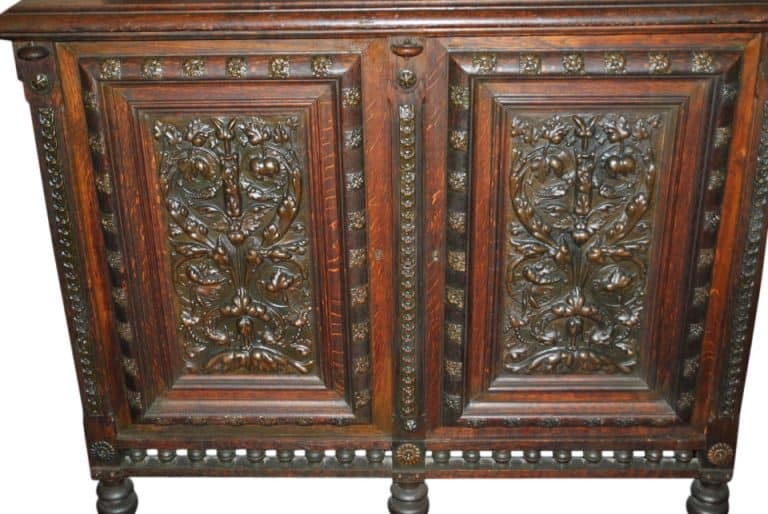 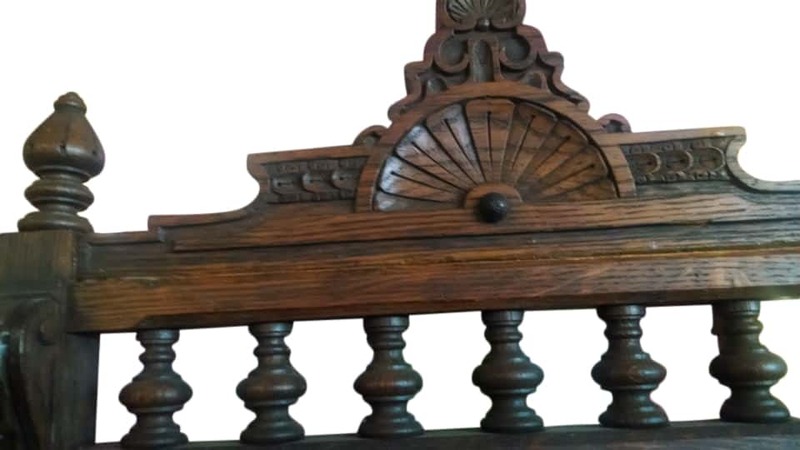 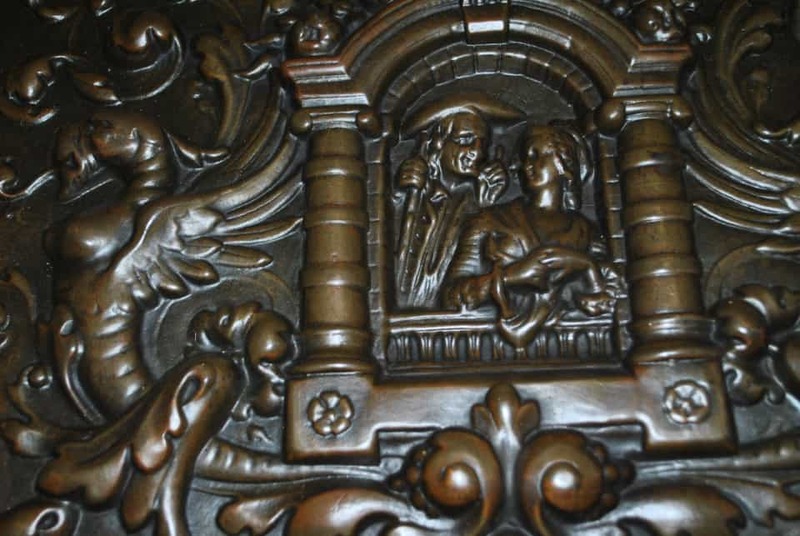 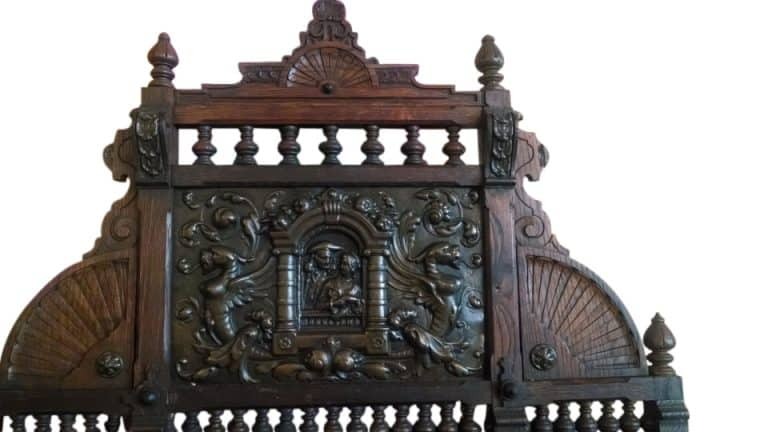 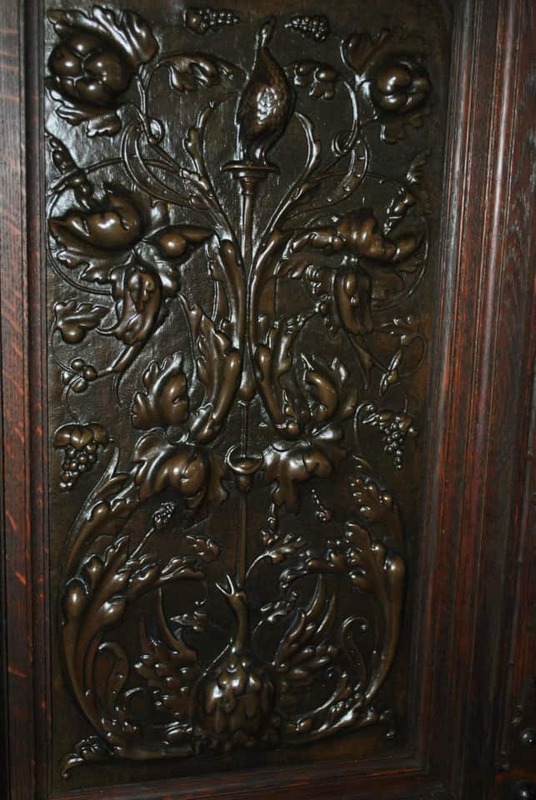 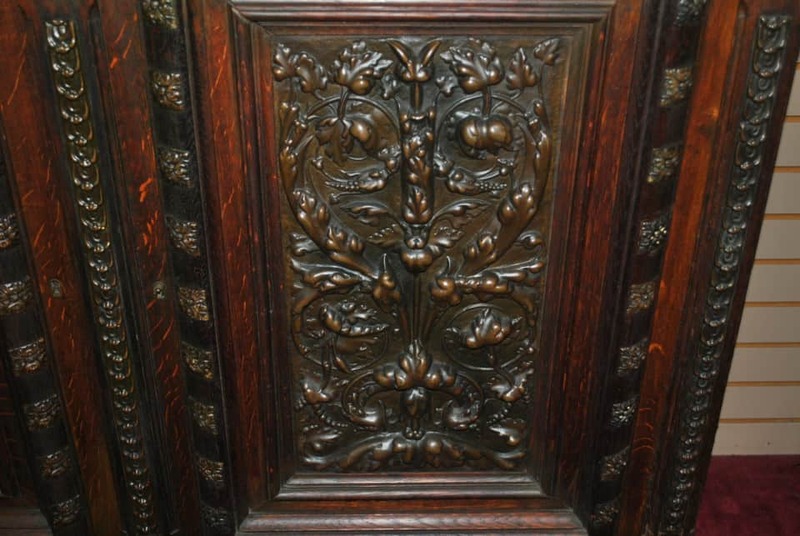 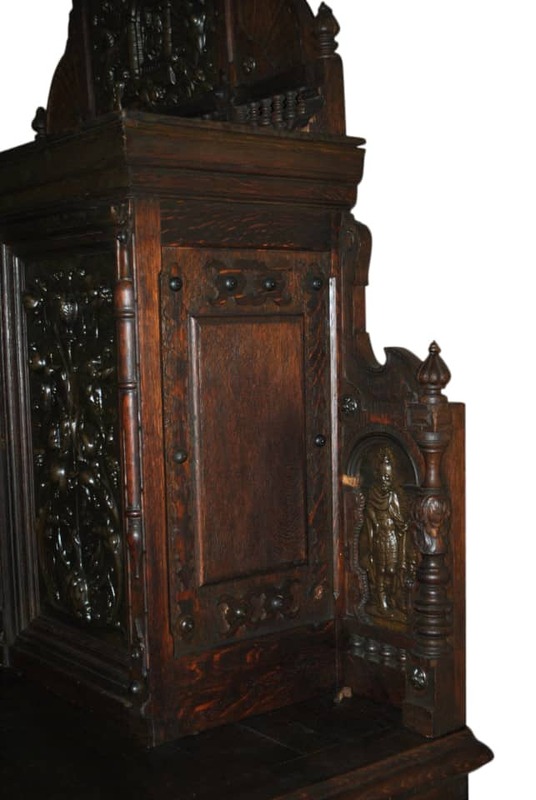 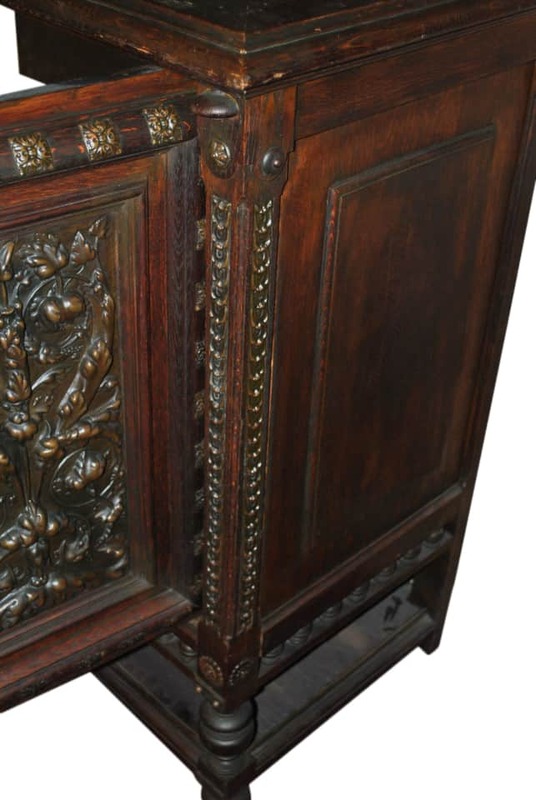 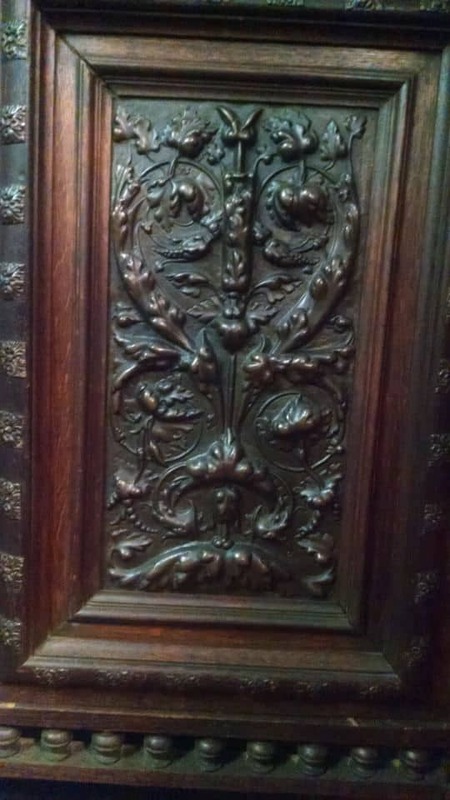 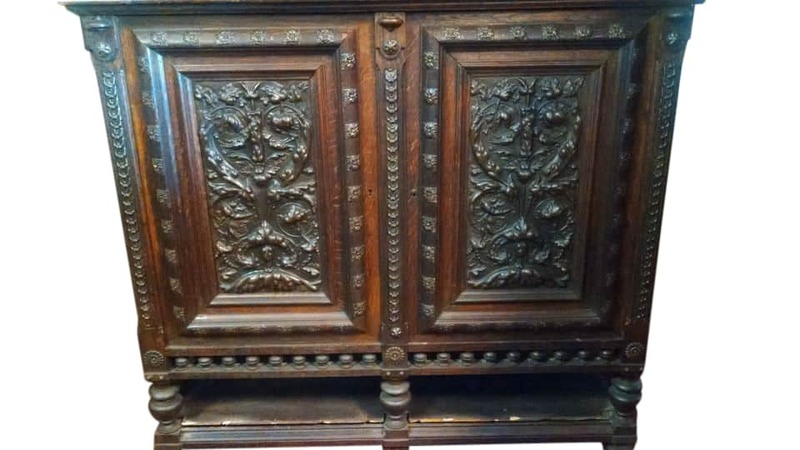 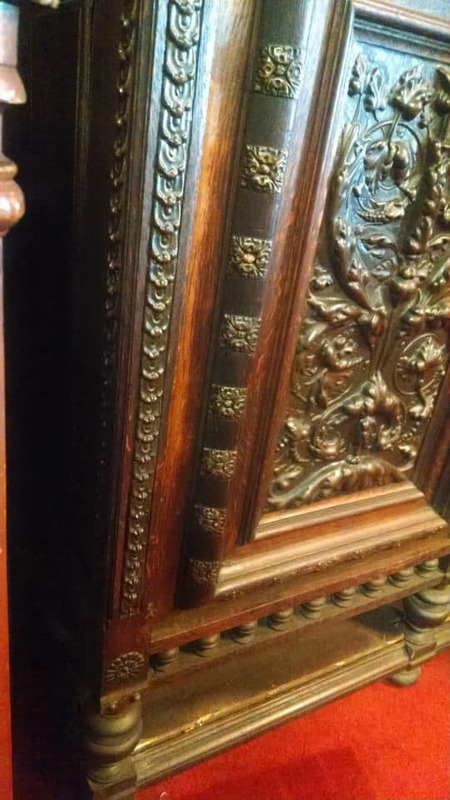 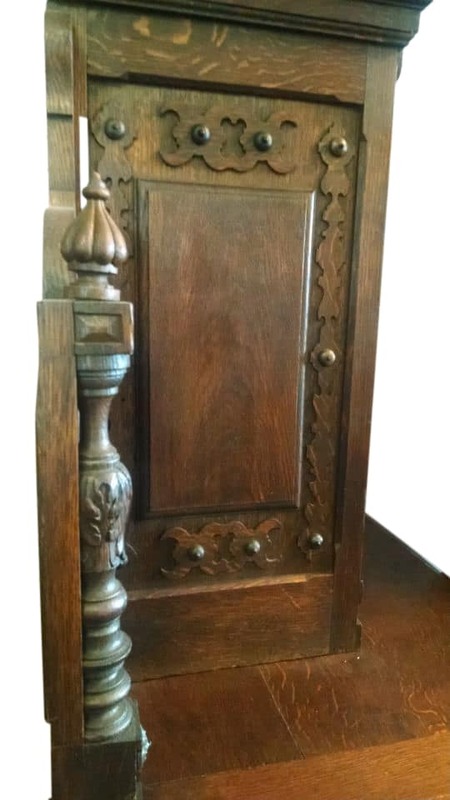 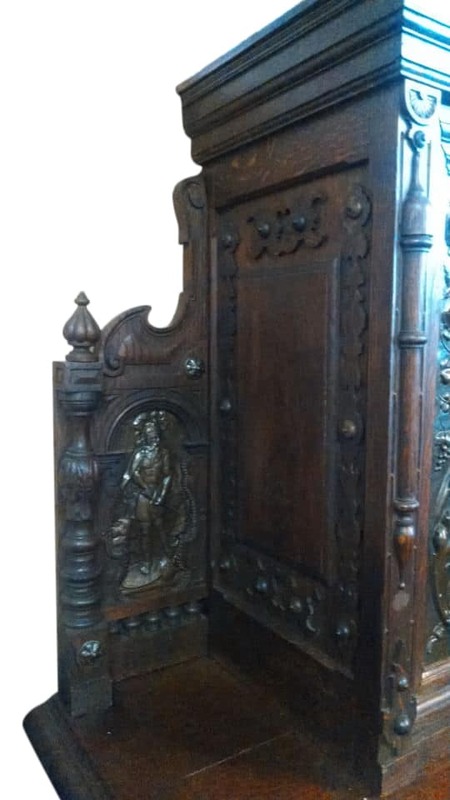 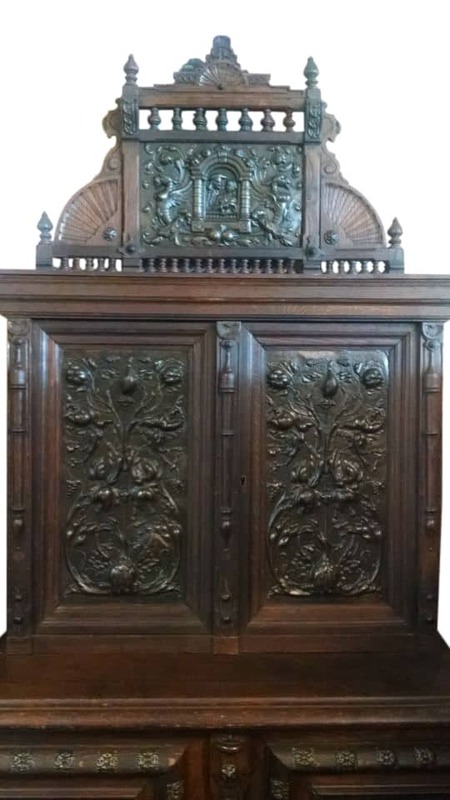 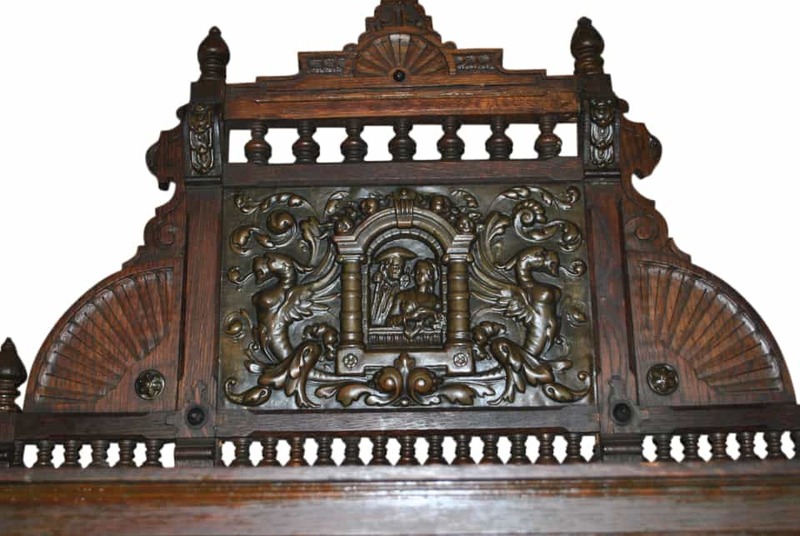 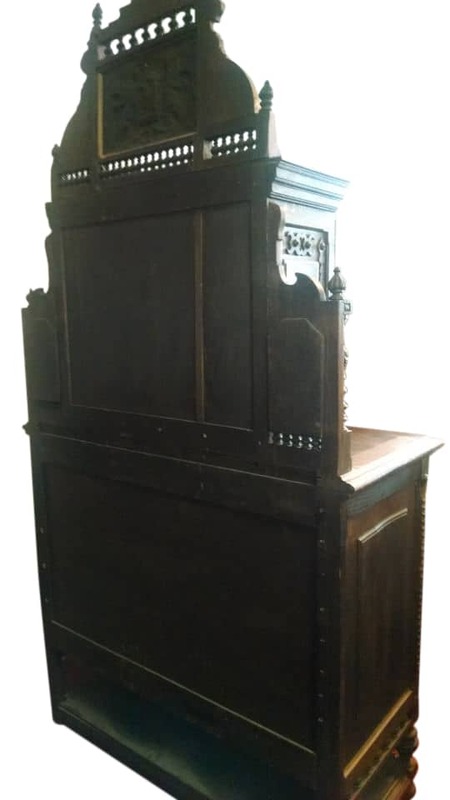 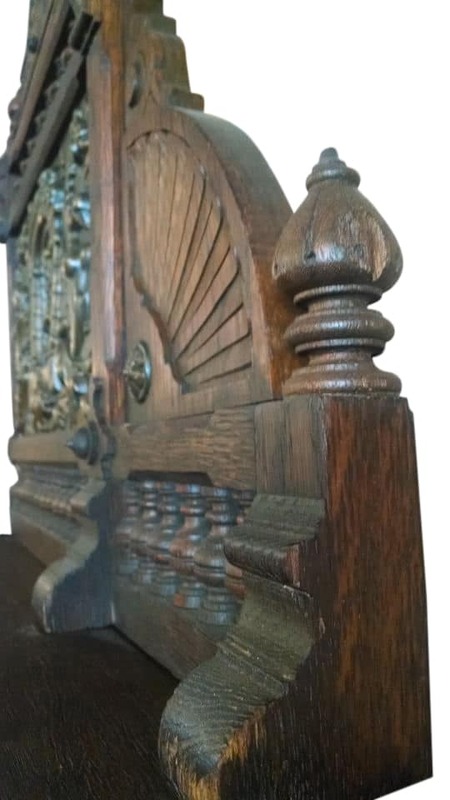 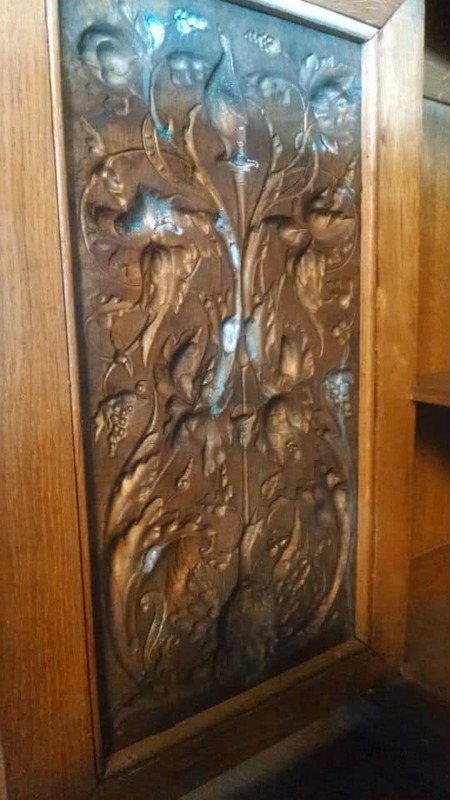 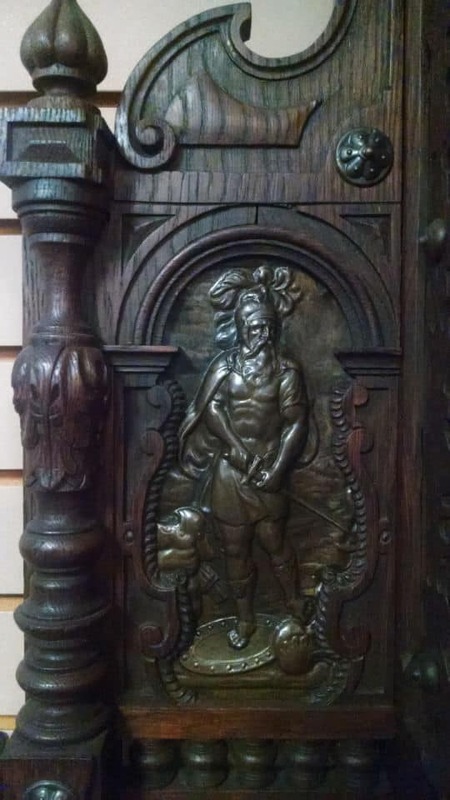 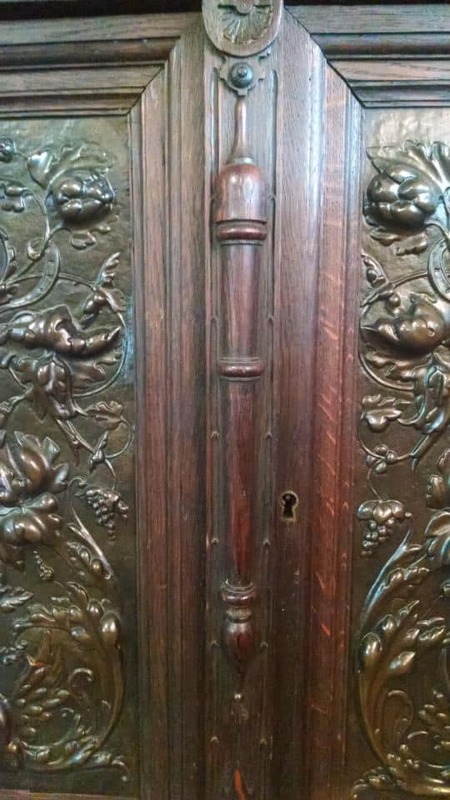 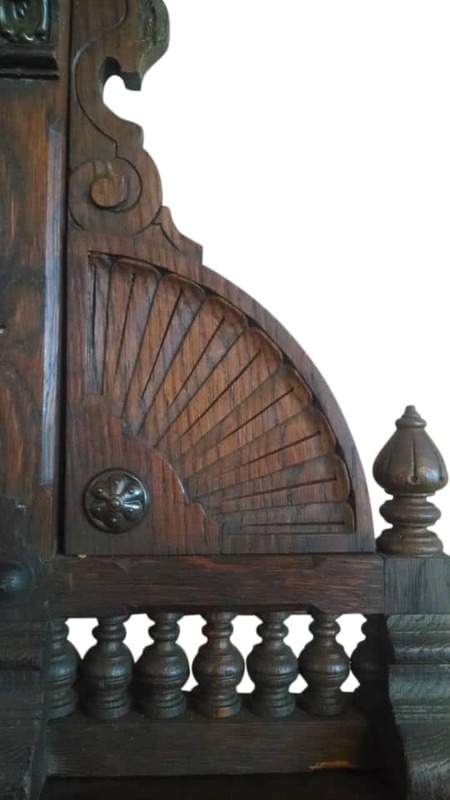 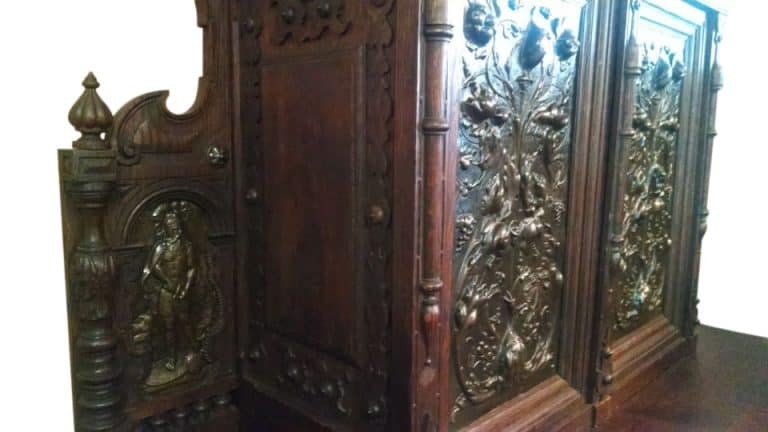 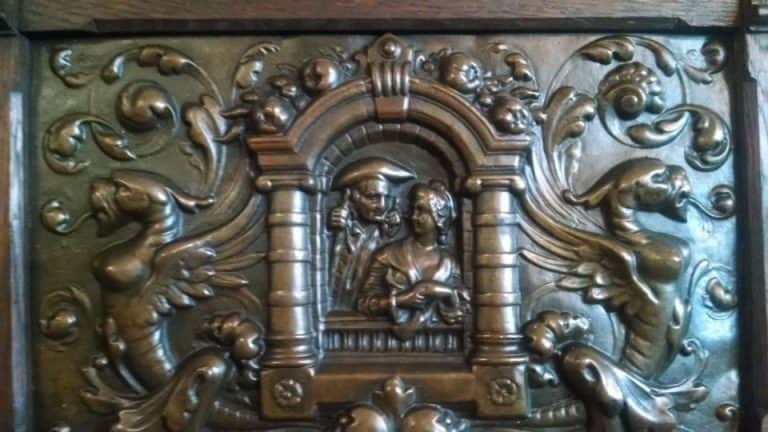 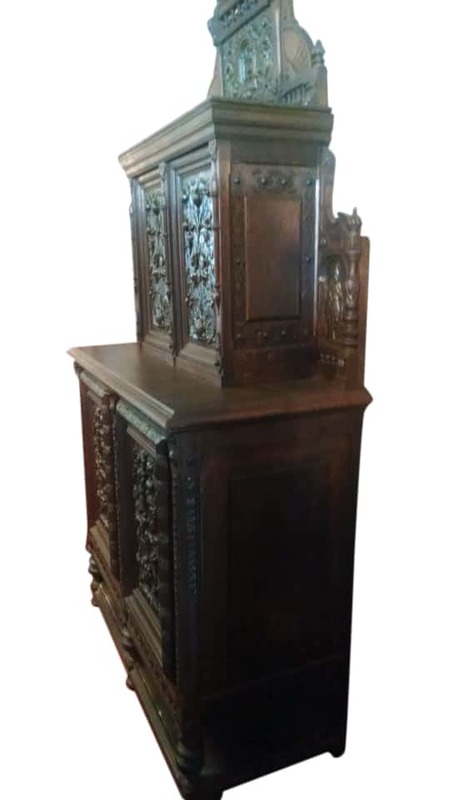 Beautiful dark tiger oak, brass decorative bronze repousse panels, beautiful carved wood. 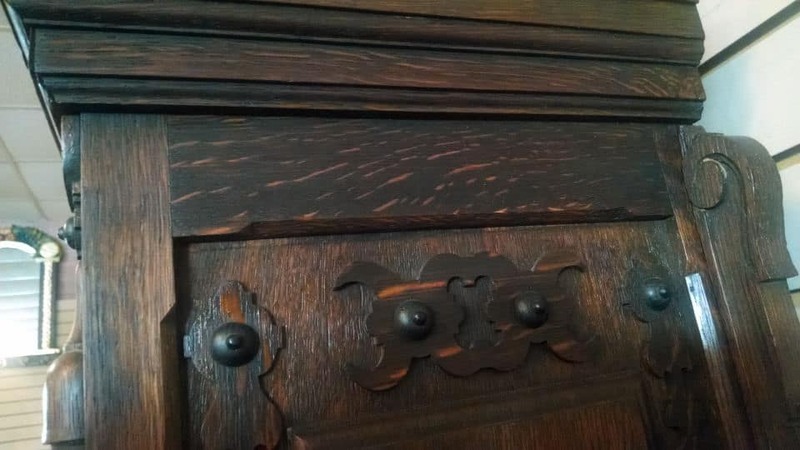 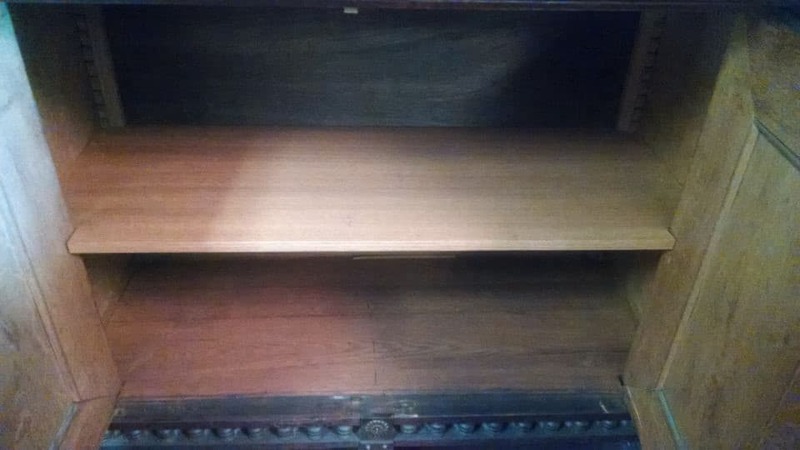 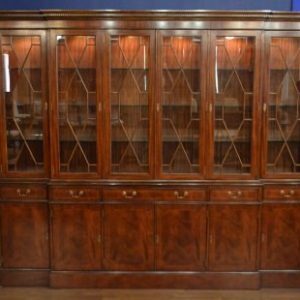 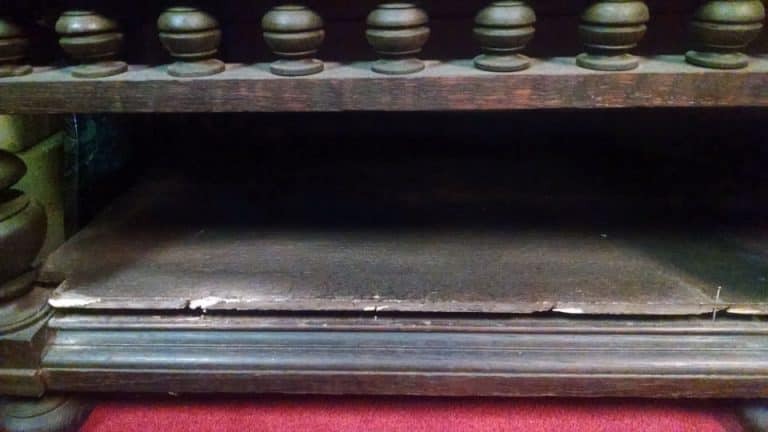 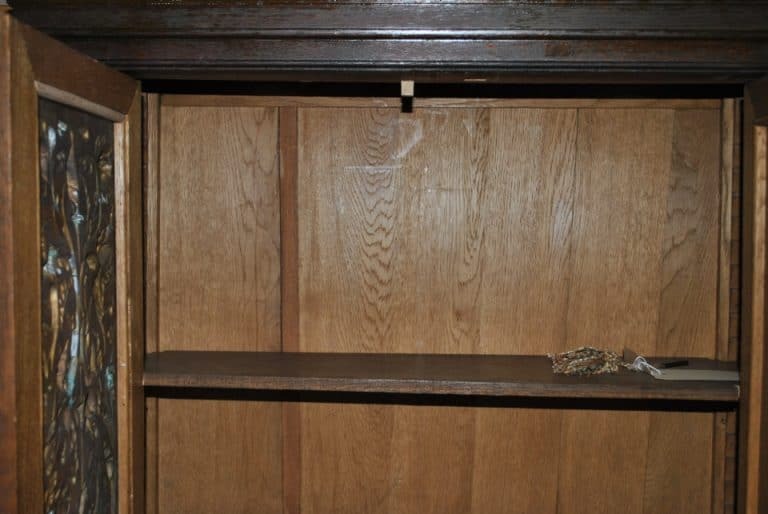 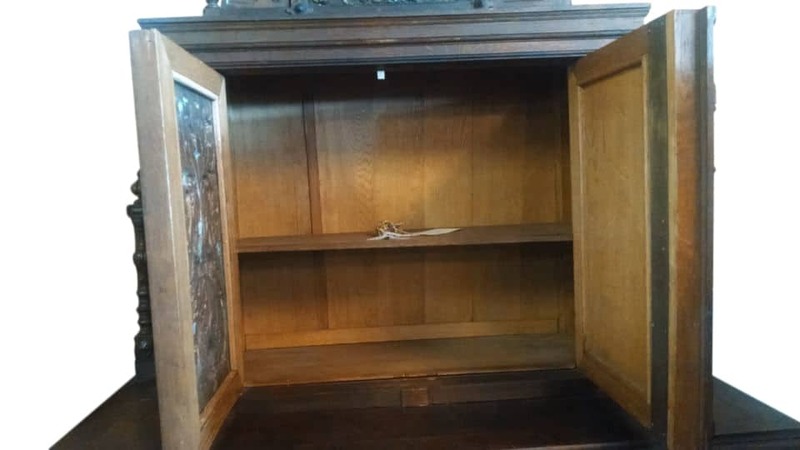 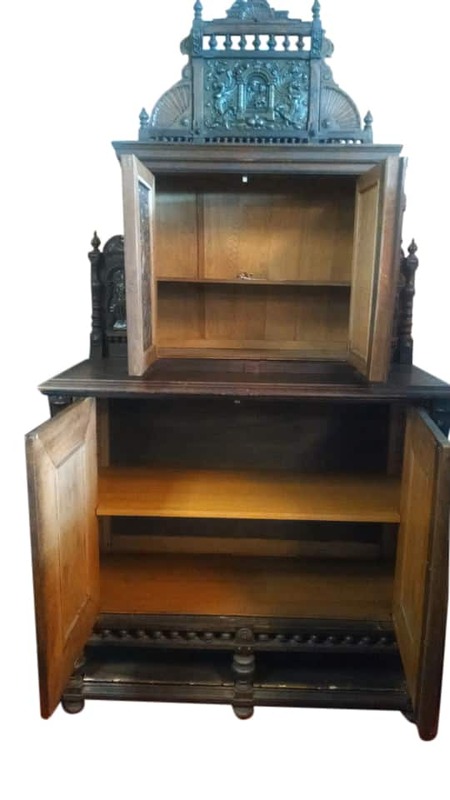 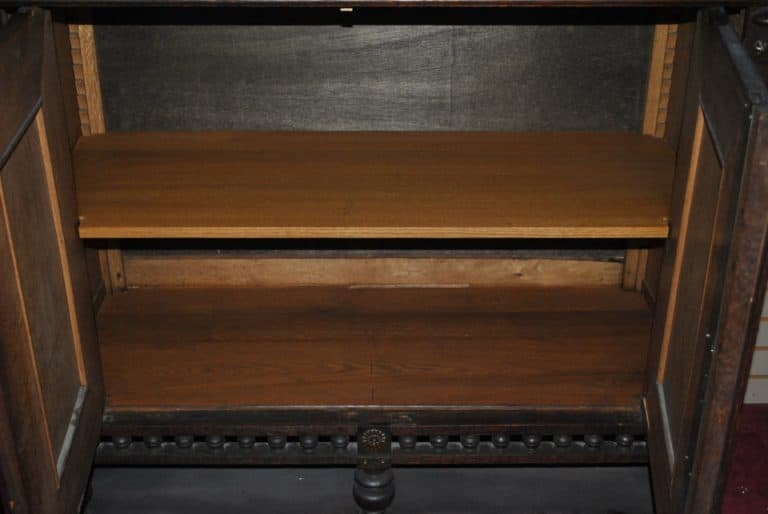 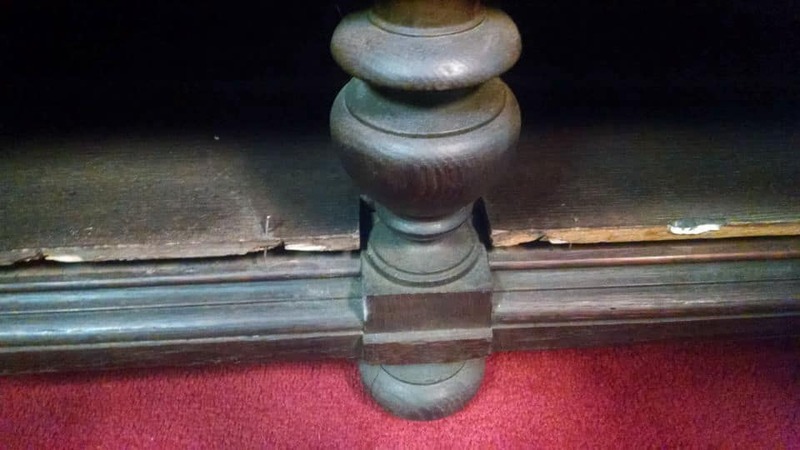 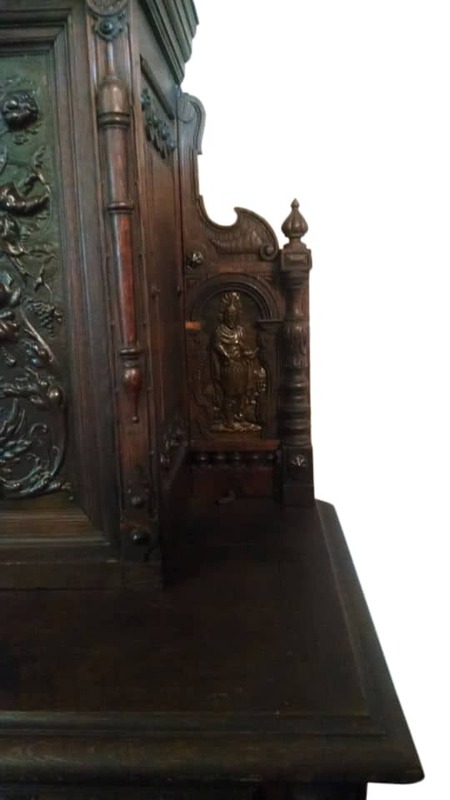 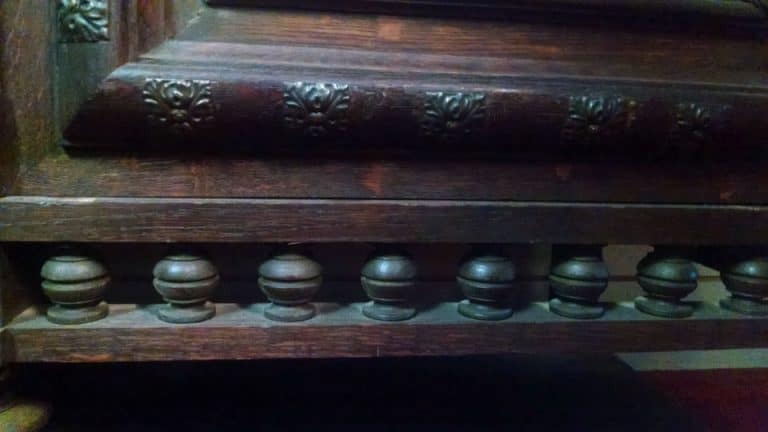 Thick, removable, solid wood shelf in bottom cupboard not original to the piece. 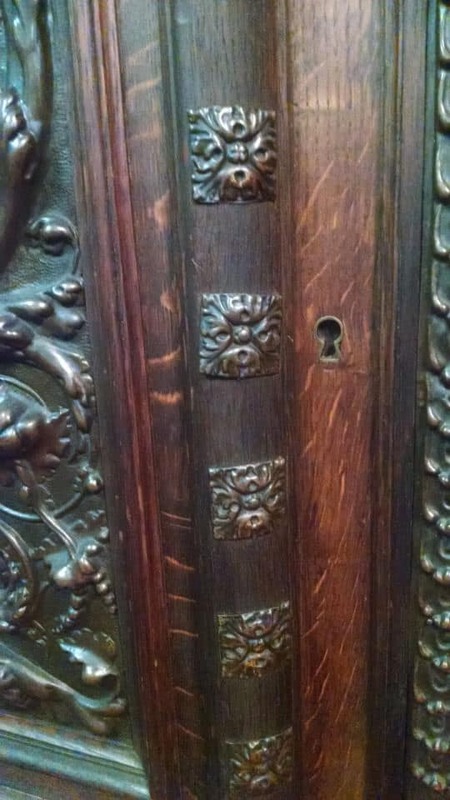 Comes with 1 key. 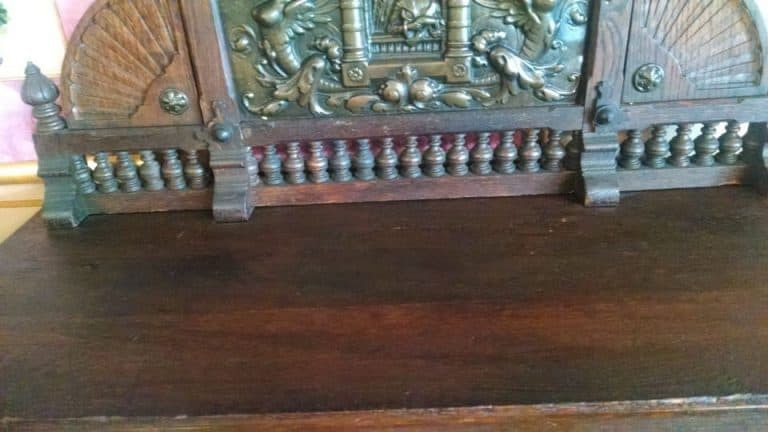 Beautiful antique condition. Overall sturdy and heavy, beautiful piece. 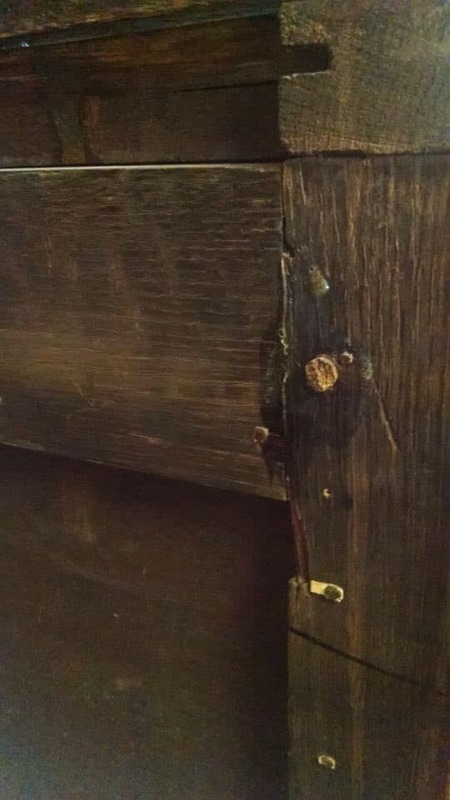 Has some warping on the thinner wood surface inside the bottom cupboard and underneath the piece. Does not affect the structure. 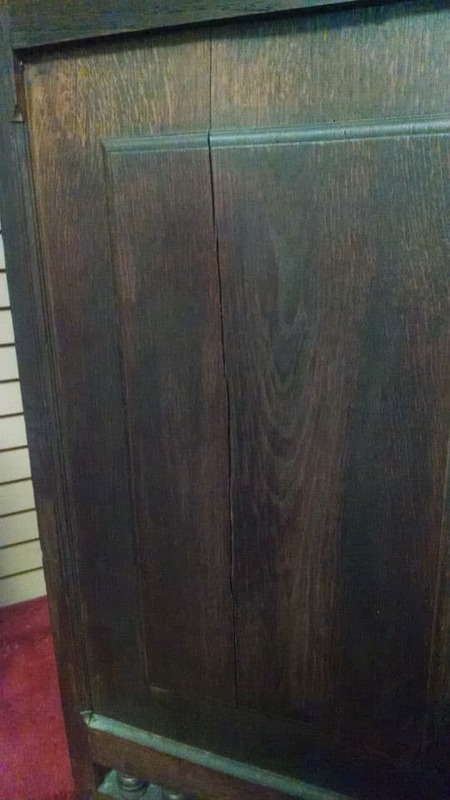 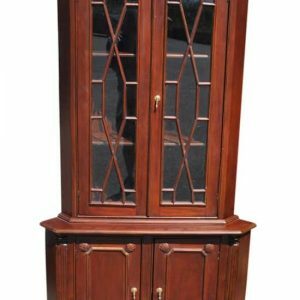 Measurements are 21″ D x 48″ W x 91″ H.